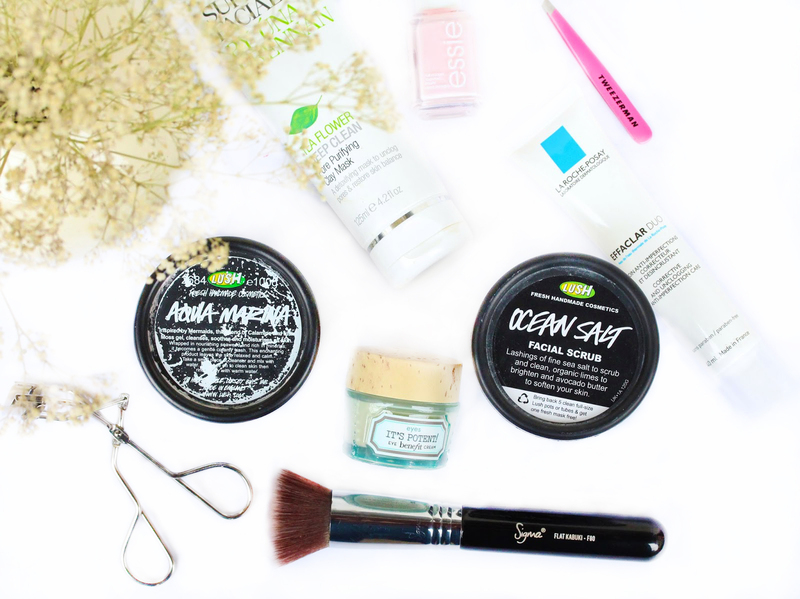 One thing is for sure – even if we have the best makeup and skincare products, if we don’t use decent tools the job will never be done well enough. With that being said, the tool that I completely fell for last year was this Sigma F80 FlatKabuki brush (review here). This is by far the best foundation brush I’ve used and I adore the flawless, airbrushed finish it gives to my face. It is amazingly soft, the bristles are really dense and it has never shed on me once. Winner! I never paid much attention to my tweezers before but when I finally caved and got a Tweezerman Mini Slant Tweezer I was blown away! The difference it makes is surreal as it is really sharp but doesn’t cut the hair and just gently and painlessly plucks it from the root. It’s super easy to work with and fits in the hand perfectly. It’s really tiny so it could be easily thrown in your bag in case of an emergency. We don’t want anything sticking out from our eyebrows, do we! haha. 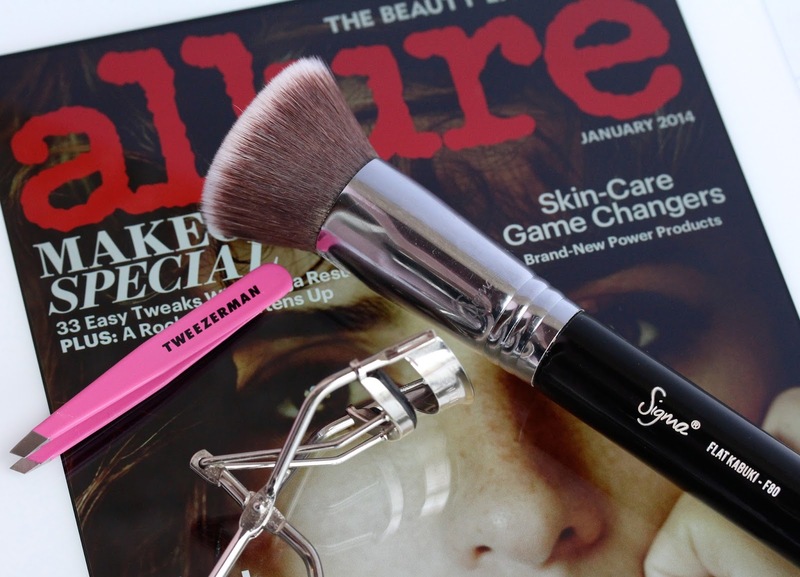 Shu Uemura Eyelash Curler is such a cult beauty tool and there is a good reason why. It curls my lashes like nothing else I’ve tried, my curl actually holds (even without mascara) and above all – it doesn’t break my lashes. What else could I possible ask for? I will have to start with THE discovery of the year for me and *drum roll* the award goes to La Roche-Posay Effaclar Duo. This stuff has literally saved my skin (a post explaining everything will go up soon) and if I tell you that you need to buy one thing out of my favorite 2013 products, it has to be this one. It is basically “corrective and Unclogging Anti-Imperfection Care that reduces the appearance of imperfections and purifies pores”. Essentially it is a moisturizer and treatment in one. This gem completely transformed my skin and when my skin was problematic I used it twice a day underneath my regular moisturizer. It cleared out my skin (I started noticing results the next day!) and now the spots and whiteheads I was dealing with are just memories. I will do a separate review on Effaclar Duo soon but let me just tell you – if you have troubled skin you need to get involved with this! It’s that good. For cleansing and exfoliator I was loving my good-old Lush goodies. My favorite cleanser definitely needs to be Aqua Marina (review here). This sushi-looking product is designed to sooth and smooth the skin and to even out the skin tone. I love how well it actually cleanses my skin, leaving it feel really soft and calm. I like to use this mainly in the morning, before I apply my makeup because I love that Aqua Marina brightens up my complexion. It also slightly shrinks my pores and my skin looks so healthy and happy. As for scrub, this will come as no surprise but I still swear by Lush’s Ocean Salt (review here). I use it twice a week as my heavy-duty exfoliator and it works absolute wonders. It removed any last bit of dead skin and leaves my skin absolutely flawless, smooth and soft like baby’s bottom. It also reduces the appearance of my pores and my skin feels super fresh and clean. Yet again - well done Lush! I have had slight obsession with face masks recently but the complete standout for 2013 has to be the Superfacialist Tea FlowerDeep Clean Pore Purifying Clay Mask. Oh my! This stuff is amazing and for the price I am massively impressed. It is a detoxifying mask that is designed to unclog congested pores and to restore skin balance. It does a fab job at cleaning my pores and it makes my skin feel super clean and healthy. While using it you can actually see how all the dirt and excess oil is being derived from your face. A bit gross? Yeah, maybe but it means that it really does work and it excites me so much haha. After using the clay mask my skin feels so fresh and soft and my pores are reduced and visibly clean. The Salicylic Acid in the mask not also cleanses congested skin but it also helps battle whiteheads and acne. Brilliant, brilliant product!! For eye cream, without a doubt Benefit is the lucky winner. Their It’s Potent (review here) is my hand down favorite eye cream. It is rather rich and leans more toward the thicker side but at the same time it doesn’t feel heavy on the skin. It’s Potent moisturizes my under eye area like there is no tomorrow and my skin feels so hydrated, smooth and elastic. Also, it brightens up my under eye area a bit, which is always a bonus. It’s love, full stop. Choosing only one nail polish out of so many pretty shades? Yeah, it was tough but I did it and I am happy to announce that the polish, which made it into my 2013 Favorites is Essie Fiji (review and swatches here). 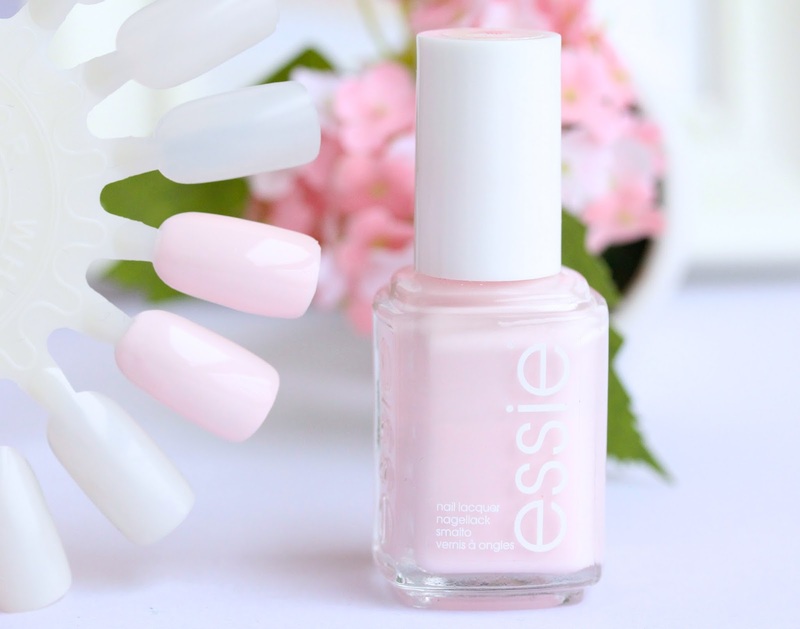 This gorgeous milky pink cream is such a classy, sophisticated shade that just goes with every outfit and I love how gentle and feminine it looks on the nails. The formula is a bit tricky but if you apply two thin layers you will be fine. I’d say that Fiji is a must have in every makeup collection so if you don’t already own it – give it a whirl and I’m sure you’ll be smitten by it! So ladies, these were my beauty standouts for the year of 2013. 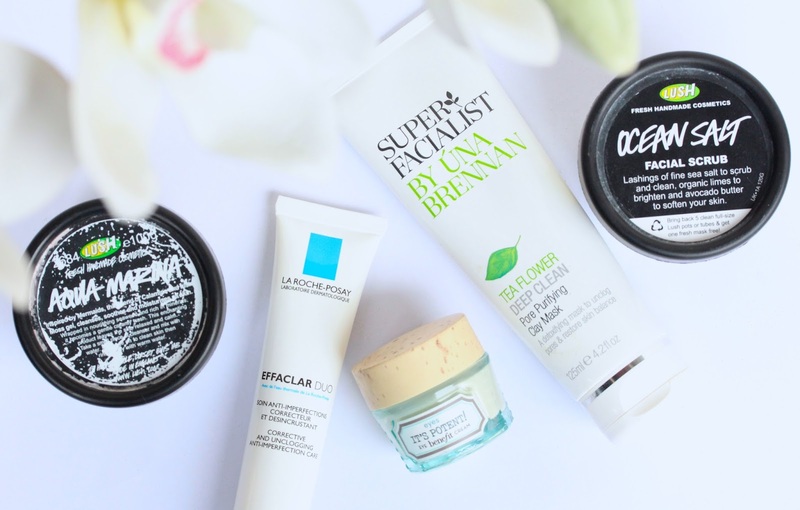 Brilliant products, which I adore and highly recommend! I hope you enjoyed this post and if you’ve done a 2013 Favorites yourself be sure to leave me a link in the comments below. I would love to add some new beauty bits to my 2014 Wishlist. I really need to get myself some of Lush's Ocean Salt, my sister uses it and her skin always looks so fresh and soft! I see a few of my favorites on your list :) I love my Shu Uemura eyelash curler and I had the Shiseido before and thought it was pretty good until I use Shu Uemura. Makes such a big difference in my eyelashes and the curls hold for the entire day. Essie Fiji is gorgeous, wish I could find it here. I too love the effaclar duo and really want to add a tweezerman tweezer to my collection. You had some great stuff in 2013! I absolutely swear by LUSH Ocean Salt! I also use it about twice a week now and have been for 3 years, love the effect it has on my skin. I also love the Una Brennan face mask, I use this around once a week and I feel like it really does unclog all of my pores. Just what I need around this time of year! Interesting review! I'd love to try these products! I don't have the F80, but I do have the F82 and I like it a lot. I have Tweezerman and Shu Uemura curler as well and they are honestly amazing. 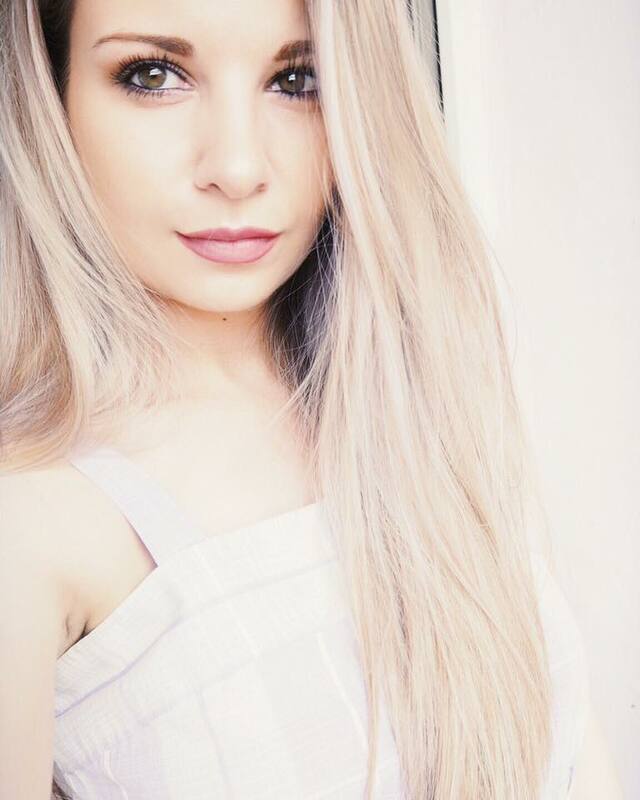 So many products that I want to try mentioned here! I've been looking for Fiji but it's always sold out! I really dooooo need to get that Essie nail polish <3 It's so pretty. Does anyone know where I could find one of the nail swatch circle things? I don't know what they are called! Thank youu! I have a tweezerman tweezer and love it, it hasn't let me down, xoxo. The Essie nail polish is the perfect colour! I've been looking for that soft shade for such a long time! Lovely post, enjoyed reading it a lot! I love the Lush skin care and I think I'll definitely try the Ocean Salt and Aqua Marina. I'm using Herbalism at the minute and I like it but cannot stand the smell! I looove Essie Fiji, it's my all time favourite polish; the formula is amazing and the colour is just perfect! The matter before the product is used several times in the matter and I have to say I had gifts to your girlfriend.After using it, her skin has a new glow. Do You Want to Play PSP Games on Android? PPSSPP is a standout amongst the most useful PSP emulators accessible, and you can even utilize it on your Android gadget. In the event that you truly need to play Gran Turismo or Castlevania in a hurry, Sony’s PlayStation Portable is an extraordinary method to do it.